SINGAPORE - The exhibition Minimalism: Space. Light. Object., traces the roots of this influential 20th-century art movement. Arts Correspondent Akshita Nanda picks the works you should not miss. This colourful work is considered to be one of the earliest examples of installation art in Australia and is shown outside the country for the first time. Using a rainbow array of neon light tubes, artist Peter Kennedy plays with how colour can define and transform a space. 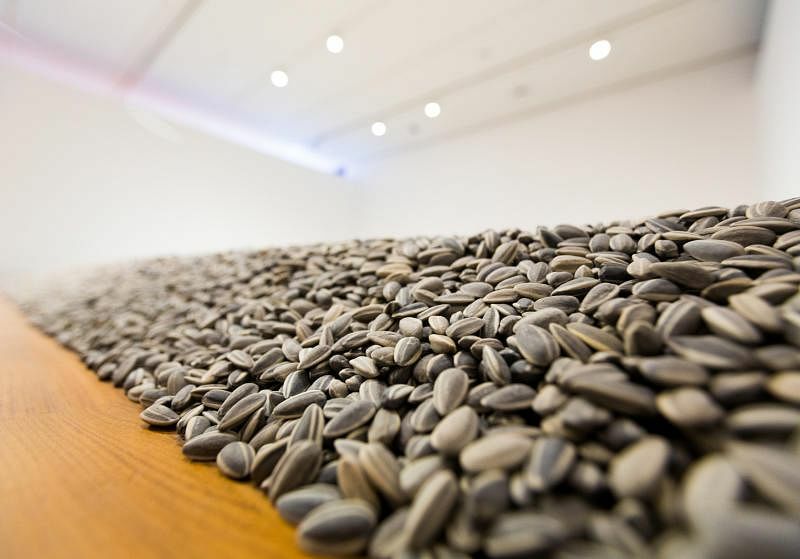 Repetition was a key feature of Minimalist works and thousands of porcelain beads, shaped and sized to look like sunflower seeds, make up this installation by influential Chinese artist Ai Weiwei. Though the seeds look similar, each is unique and handcrafted by artisans in Jingdezhen, China. 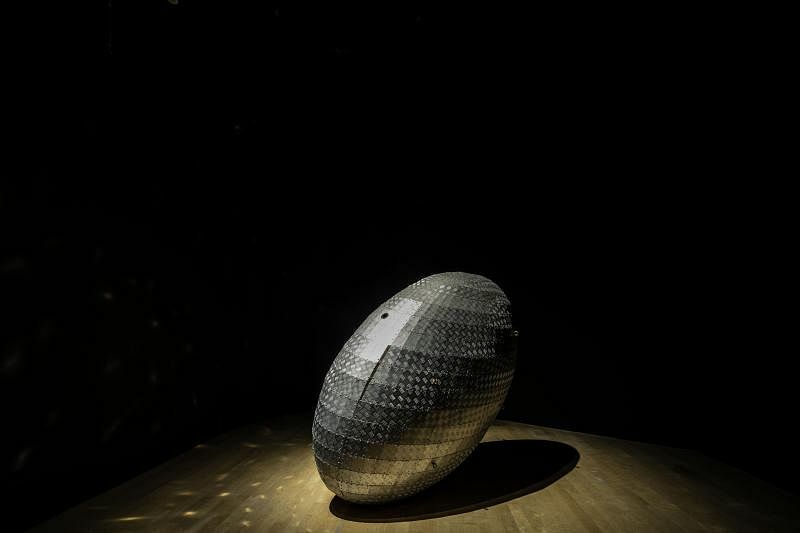 Through this installation, Ai challenges the popular idea that "Made in China" is synonymous with cheap mass production. This installation by the Japanese artist evokes the Buddhist cycle of life, death and rebirth. The LED panels display numbers in a repeated cycle, each time counting down from nine to one. The title refers to the vast number of lives lost in the 20th century during various conflicts. American artist Donald Judd was a key figure of the Minimalist movement from the 1960s, using geometric forms and industrial materials to create his sculptures. 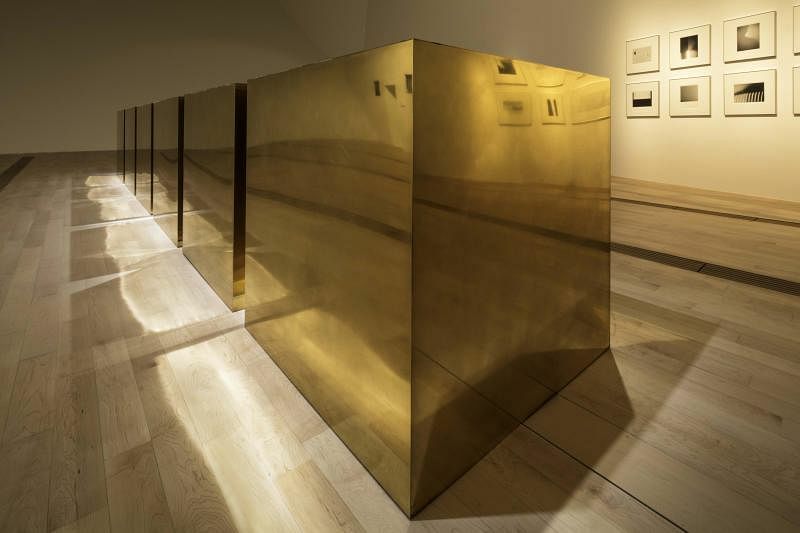 This installation features six brass boxes placed on the floor, with a set distance between each box. Viewers are encouraged to walk around the work and consider how it modifies the space in which it is displayed. Danish-Icelandic artist Olafur Eliasson creates an immersive, multi-coloured maze of translucent plastic sheets, with spotlights providing illumination. 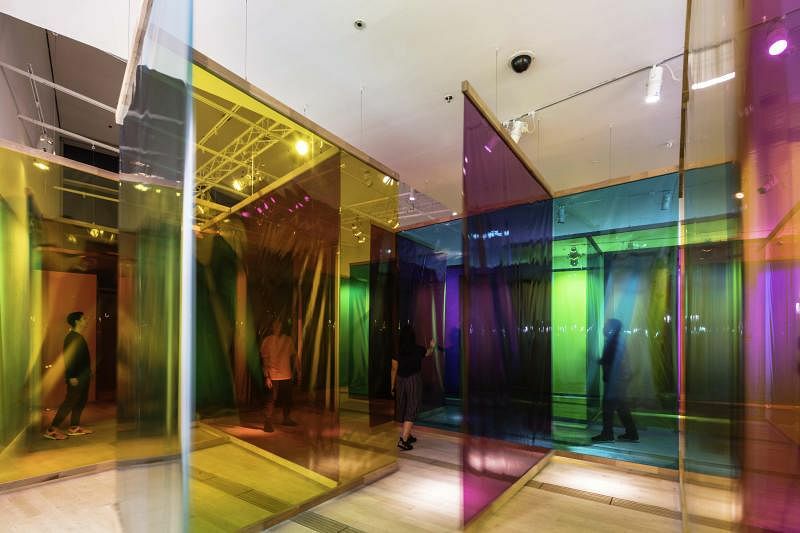 As viewers walk through the installation, they experience a variety of colours at different points, depending on the overlay of coloured sheets. Thai artist Tawatchai Puntusawasdi draws from Minimalist ideas about geometry, industrial materials and repetition in this sculpture made of aluminium plates riveted together. Roughly 2m-long, Haumea is named after a dwarf planet in our solar system. It spins so rapidly that it has an elliptical shape, rather than spherical.